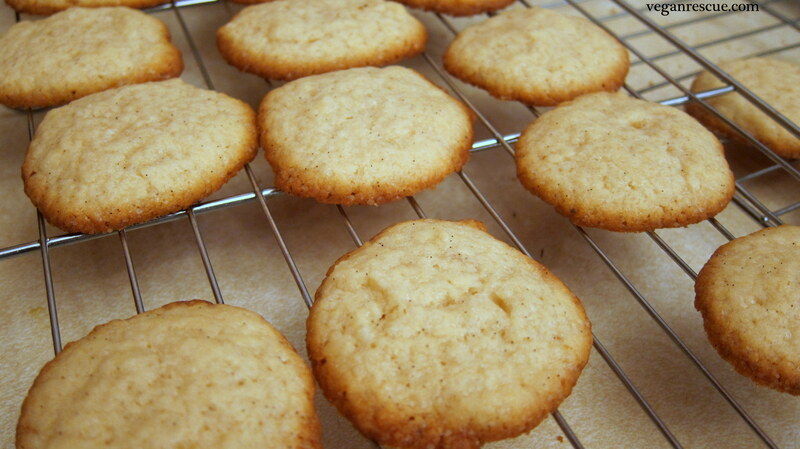 Vanilla Nilla Wafers – these are better than store bought! I’ve had the store bought ones in the past before transitioning to a vegan diet and let me tell you, one bite of my cookies and they took my mind back in time. 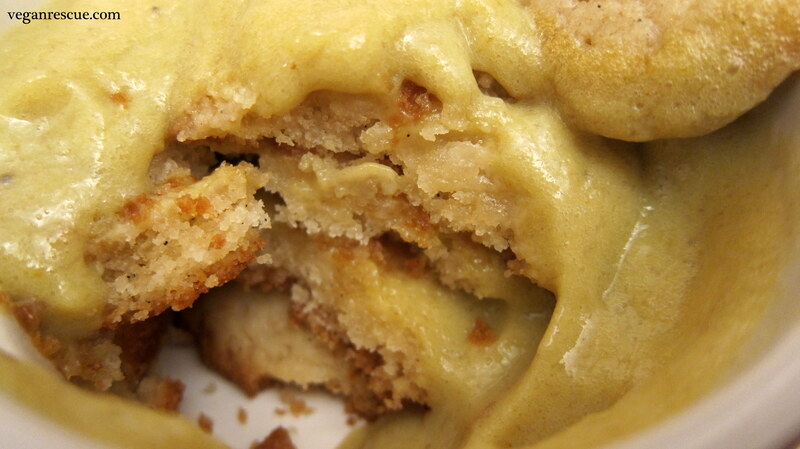 This cookie recipe coupled with the banana pudding is a very special recipe for me. My husband is always telling us a story. Stories of his youth and childhood or of his family and friends…crazy stories and loving heartfelt ones too. He often speaks of his grandfather; his PopPop had such an impact on his life. Seth has a lot of great memories of his grandfather and Banana Pudding with Vanilla Wafers was one of them. Every so often my husband makes a suggestion of what’s for dinner. Sometimes he’ll suggest Taco night or a Soup – he loves my soups, but last Sunday he suggested Soul Food Sunday. 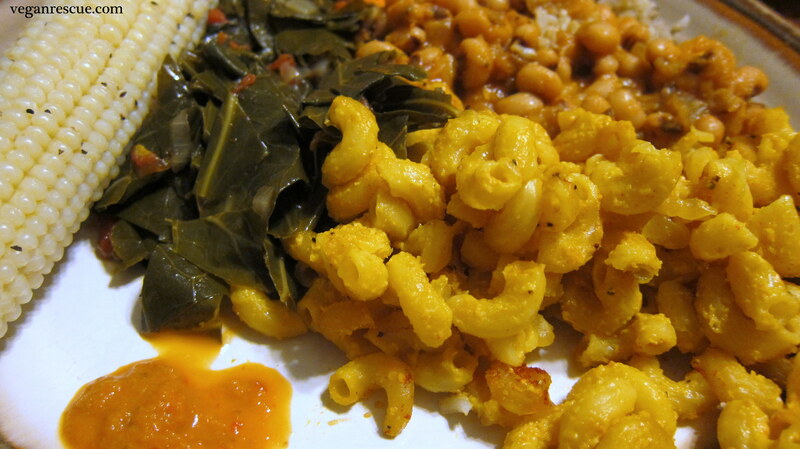 So I made a Soul Food southern style Dinner: Collard Greens, Black Eyed Peas, Baked Mac-No-Cheese, Corn on the Cob with Fried Tofu. While I was cooking, I started to think of some of my husband’s stories. Then I decided to try and create southern style Banana Pudding with Vanilla Wafers and it was very successful! – I’m so cheesy too when I make something new that I’m excited about or when it’s a surprise. I do the whole – close your eyes thing, ha! He had no idea what I was making but after dinner, I surprised him with this recipe. He was left speechless…when he finally came to; he had a lot of great compliments. During his silence I was sure that he was reminiscing about his grandfather 🙂 and that was special to me…that nostalgia was my goal and that to me was the success! 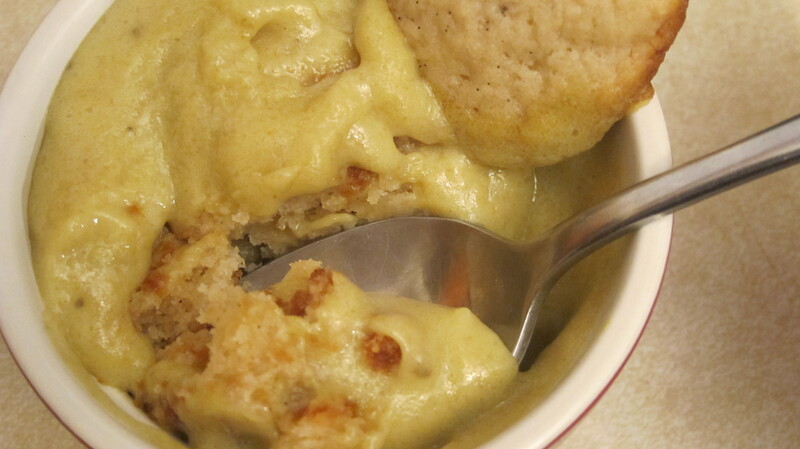 ½ Cup Earth Balance (vegan butter) softened, room temp. -Mix all ingredients dry then wet, stir to combine. -Place about a Tsp full of cookie batter on cookie sheet. -Bake for 15 minutes until golden – turn cookie sheet halfway during baking so it bakes evenly. -In saucepan dissolve Sugar, Salt, Corn starch and ½ Cup Milk, whisk together to combine. 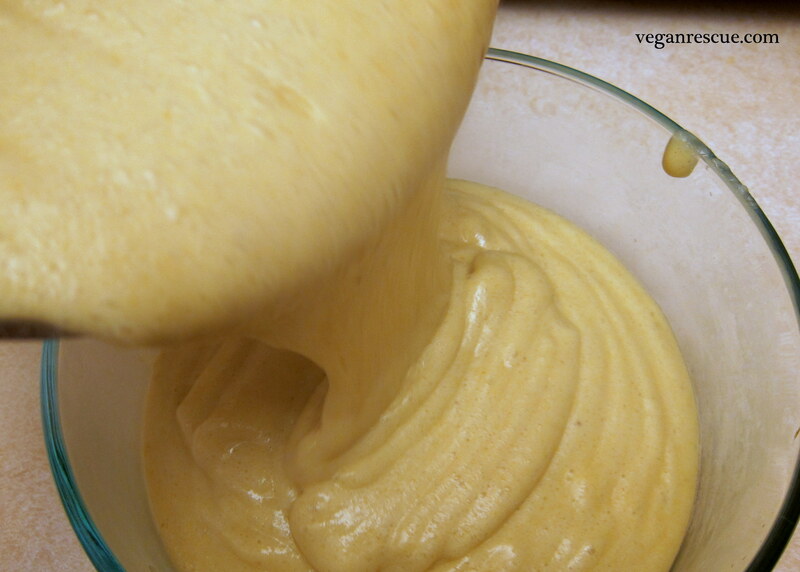 -Add Banana/Soymilk mixture to Cornstarch/Sugar mixture and whisk together. -Whisk…Whisk…Whisk…keep Whisking…until your arm hurts. About 5 minutes until pudding mixture thickens up. Whisk in Turmeric. -Remove from heat and pour into glass dish. Let cool for 20 minutes then refrigerate. When ready to serve layer in Vanilla Wafers with Banana Pudding. Enjoy! Pictured Below is our Soul Food Sunday Meal that I mentioned above, plus my husband’s homemade hot sauce. He makes his own hot sauce too! I have to try these recipes….there goes my waist line.